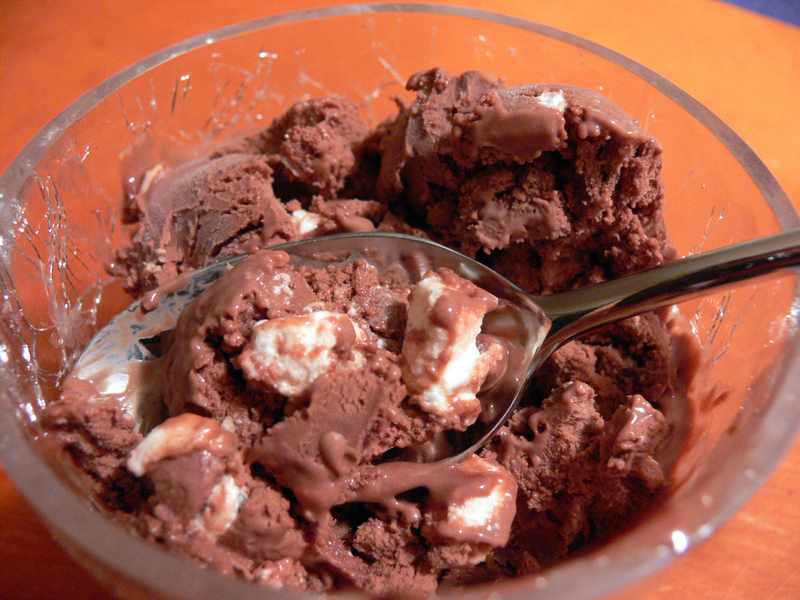 Spumoni ice cream originates from Italy where it is commonly made as a gelato. The ice cream has three common layers: red (cherry), green (pistachio), and brown (chocolate). 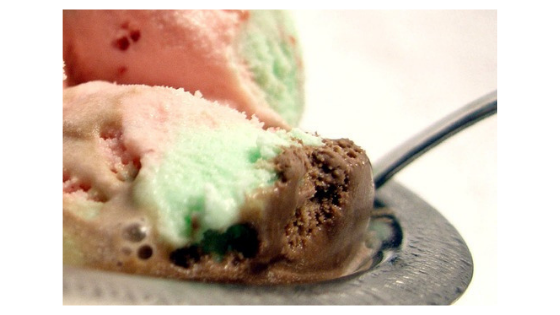 There are variations of spumoni that use vanilla instead of the chocolate. Spumoni is sometimes confused with Neapolitan ice cream. However, Neapolitan differs with its flavors of strawberry, chocolate, and vanilla. The kind of nuts in spumoni ice cream are pistachios in the pistachio ice cream and almonds. Some people claim that spumoni ice cream is hard to find around the United States. This is not surprising since it does not even make the top 10 list of America’s favorite ice creams.